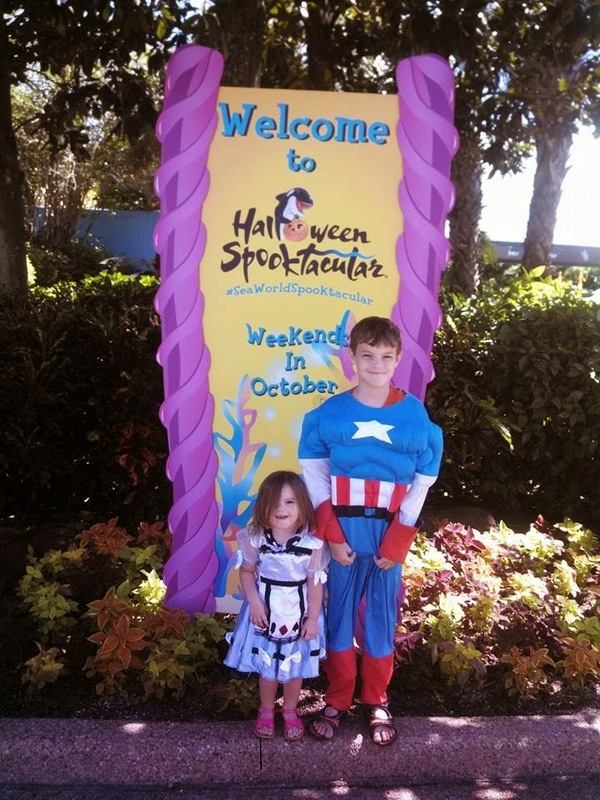 ThemeParkMama: SeaWorld Orlando's Halloween Spooktacular is going on NOW! 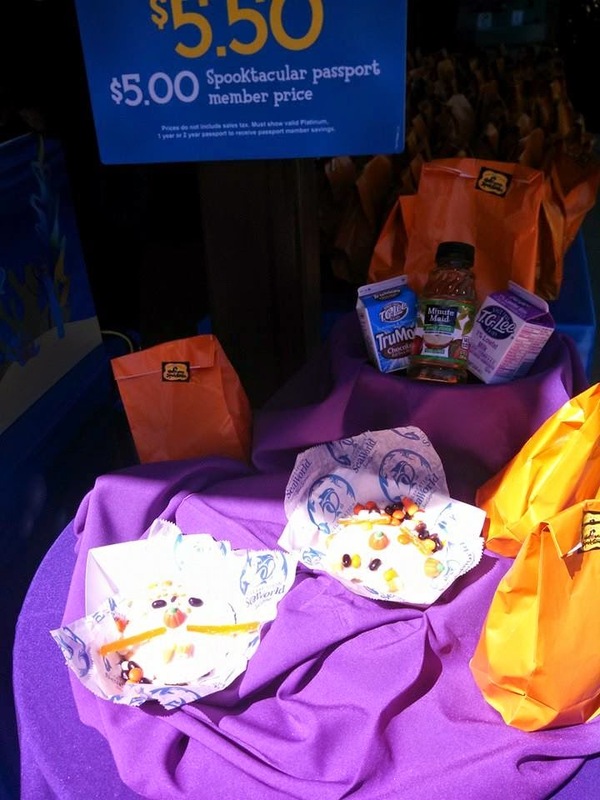 SeaWorld Orlando's Halloween Spooktacular is going on NOW! 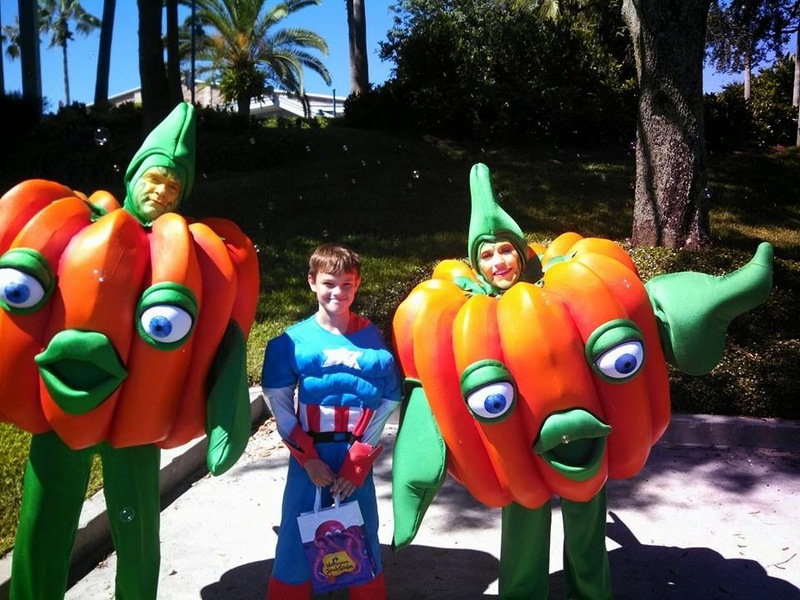 This October SeaWorld’s Halloween Spooktacular started this past Saturday, Oct. 4. 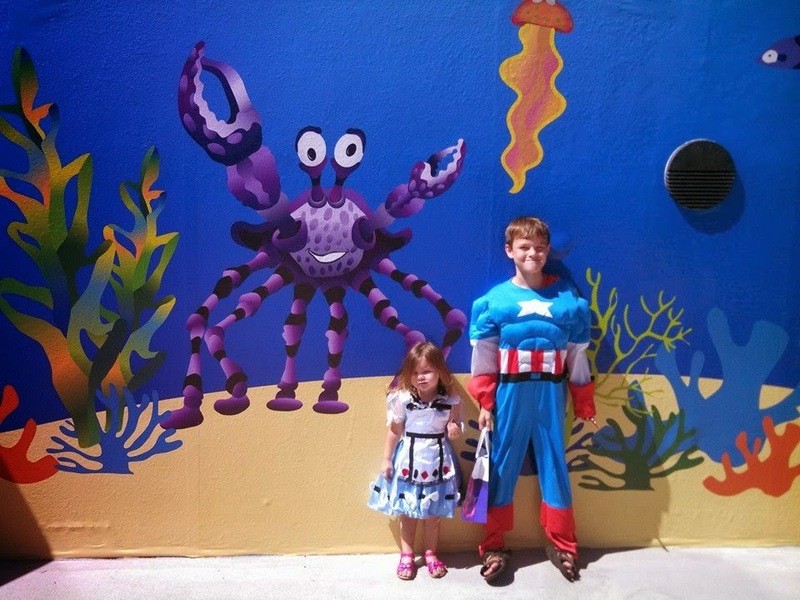 This daytime event allows families to immerse themselves in an underwater "fantasea" filled with trick-or-treating, whimsical pumpkin fish, sea-themed arts and crafts and up-close animal encounters SeaWorld is known for. 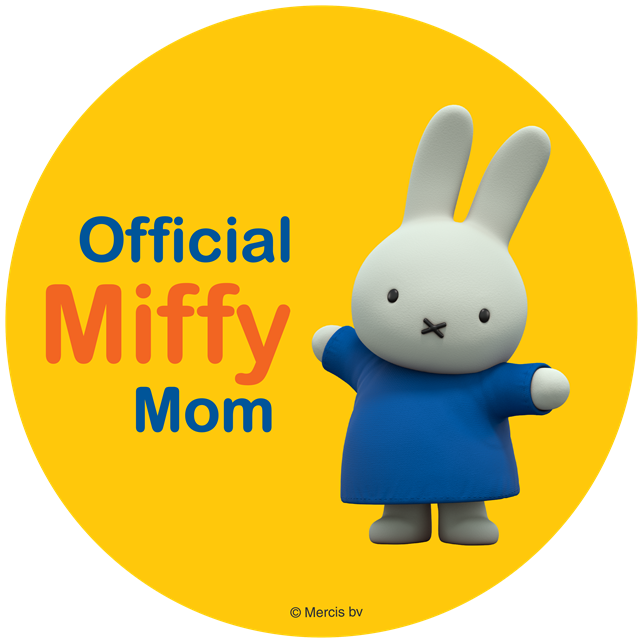 Fun family friendly costumes are welcomed. I was able to bring my oldest and youngest to this years Halloween Spooktacular at SeaWorld Orlando, FL, my kids enjoyed trick or treating throughout the path of bubbles, yes bubbles SeaWorld has set up bubble machines all over the path that kids and adults can enjoy. Some of my kids favorites from trick or treating were Airheads, Hershey's and Jelly Belly just to name a few. 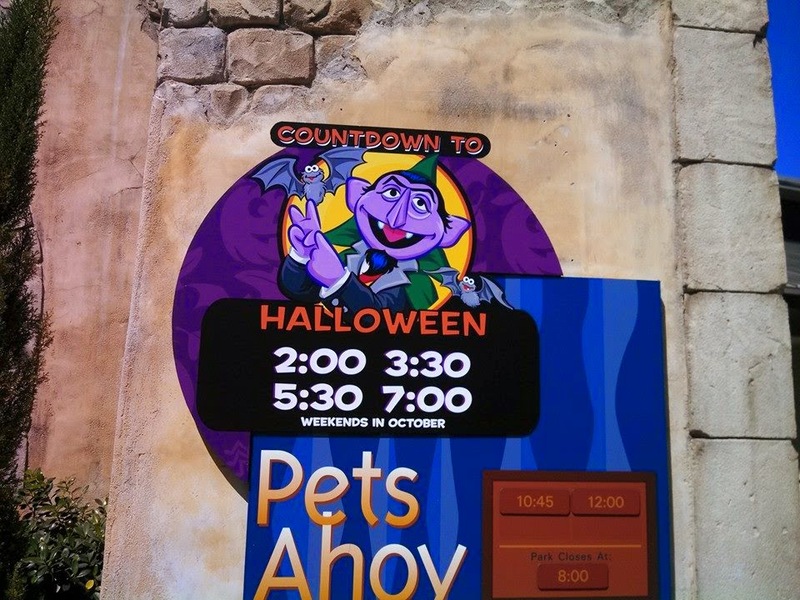 Not mentioned below is the return of Countdown to Halloween which has some of your children's favorite Sesame Street characters returning to the stage for a fun filled adventure to counting down the days to Halloween, it is located in the Pets Ahoy auditorium. While walking the trick or treat path you will have many opportunities in which to get fun picks with dog fish, mermaids, and more, like these pumpkins my son got a picture with. SeaWorld’s Halloween Spooktacular takes place weekends throughout October from 12 to 8 p.m. (October: 4-5, 11-12, 18-19 and 25-26), leaving the littlest of trick-or-treaters wide-eyed for all of the fun-filled activities. Like all special events at SeaWorld, Halloween Spooktacular is included with park admission or any Pass product. Kids and parents alike can have a "splash" creating their own sweet treats at the cookie decorating station. Kids can decorate and devour their spooky cookie when they purchase a kit that comes equipped with a cookie, frosting and toppings. 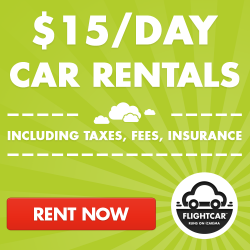 Nominal fee.